Miracle Water Radiance Tonic instantly transforms your skin and maximizes he benefits of your skin care routine while hydrating, clarifying and brightening all types of skin. This lightweight product helps in brightening, purifying and removing dirt and even makeup. Enriched with purest form of natural skin brightening ingredients. 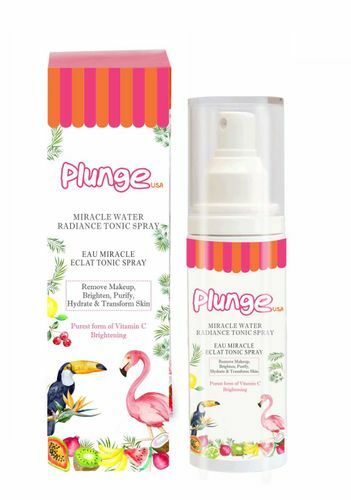 Plunge is a natural skincare initiative by O3+, India?s leading professional skincare brand. Spray all over the face, gently do tapping massage. Explore the entire range of Toners & Mists available on Nykaa. Shop more O3+ products here.You can browse through the complete world of O3+ Toners & Mists .